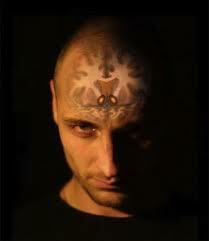 Psychopathic Writings: Can Psychopath Brains Change? You talk a lot about neurological difference but our brains are plastic and neurons are constantly laid down, pruned and rebuilt in different patterns according to our environment and actions. Even if a certain category of people have particular neurological or brainwave patterns, that can be because of what they DO with their brains, rather than what their brain does with them. The most famous example of this is the London taxi drivers in whom the area of the brain responsible for spatial awareness develops as they learn the street map of London. So if you take a step by step approach to modifying your actions, this will modify your feelings, making it easier to modify your actions, and so on. Bio-feedback. However, there may be some early neurological damage that is very hard to repair unless one is very motivated or starts very early. What you say is true for the most part. But in order to create new synapses you need corresponding synapses to trigger such growth. To f.x. expect someone with Down Syndrome to develop an intelligence like that of someone with an IQ of 150 is impossible because the neurological foundation required to do so simply is not there. Take the example of the Structural Changes in the Hippocampi of London Taxi Drivers. If we imagine one of these drivers had deficiencies in their Hippocampus in conjunction with deficiencies in other parts of the brain to begin with, they would never get the chance to enhance their Spatial Awareness, because they would not have the ability to navigate well enough to drive a car. If for a moment we imagine the cap driver's car is a person's love for another, and spatial awareness is how well they perform in situations associated with loving... If the person is a psychopath this experiment will never begin, because psychopaths don't have cars. Some have tanks, but more have war planes and can be highly skilled in airspace warfare - most psychopaths can experience aggression and enjoy the excitement related to various forms of aggressive behavior and life styles - and they can learn to drive them very efficiently. But that doesn't help them if they're required to navigate London city in peace time. This is a crude example, of course, and in reality it is not a question about deficits in one part of the brain, but a combination of differences (I don't like to call it deficits, since lacking in one area often make room for excellence in others) which in combination produces a person with the characteristics that in modern society are poorly understood and accordingly given a stigmatizing label: Psychopath. To imagine that a psychopathic individual might grow the synaptic network that is required for someone to feel empathy or remorse would be like imagining that someone without a visual cortex might learn to see anyway. They may have eyes like the rest of us, and they may have the blink reflexes, the tear canal may produce fluids under the appropriate circumstances, and they may even learn to turn their eyes in the direction of sound and touch like the rest of us, but they do not have the physical neurological matter required to develop the synaptic network, and that remains a fact no matter how much transmitter is fired in the appropriate area. That said, psychopathy is a spectrum like everything else, and emotional 'deficiencies' vary. Some psychopaths have some ability to feel some level of empathy (for a short time), and in those cases the question would be whether and how much using the little empathy capacity which is there will be encouraged by experience. Conclusion: Whereas in principle it may be possible for a psychopath to learn to access some kind of empathic emotion - or remorse (which of the two are more important is matter for debate) - my question remains: Why do we strive to make everybody alike? Why not use the differences that the human race exhibits and benefit from what we can make of it? Again, I am convinced all the differences are here for a reason. This is in fact part of my argument when I spoke about the problems related to psychopathic children and upbringing here and here. Yes, perhaps suggesting that you can "cure" yourself (with the help of a Sufi master ) is actually wrong. But if you can learn to control your actions, and develop new reactions and a greater, deeper range of feeling, it is "as good as", or in Sufi terms, an improvement in your "rank", which is not to be sniffed at. In fact, Sufism has insisted for centuries that your disposition is destiny, but that within a very small range (ie the extent of the will is much more tightly circumscribed than in Christianity " You cannot even will a thing, unless He wills it") and using very specific techniques, you may advance along the path. The idea is that true freedom lies in that place where you are not the slave to your carnal self. When you think you are "in control" or owning or using others, that is when you are least free. That thing that is controlling you is your "nafs", your carnal self. It can change through various levels (nine in all), and each level is an improvement both for those around you and for YOU too. Anyway, there is too much to Sufism to explain here and too many false sheikhs around unfortunately. Zhawq, I'm curious to know what your daily routine is like. You don't have to go into detail but I'm just trying to figure out how you're able to host this blog. Do you simply write from prison when you're allowed access to a computer? I understand you're part of a psychopathy research program but I'm just curious how it works. 1. Appearently, being able to draw a perfectly round circle is a psychopathic trait. 2. Dogs don't like psychopaths, and are either always afraid of them, or at least really aggressive towards them. I don't know about the circle (I have always thought that because my mother was an artist, I just inherited that ability from her), but the dog thing is very wrong, I can read dogs- and hence control them- very very easily. If only ppl were that easy!! I once knew a guy who made a dog pee on the floor every time he came by. Does that mean he's a psychopath? I am under the impression that there is no such thing as a "perfect" circle as the formula for Pi is infinite. 3.14159....... you can carry the numbers behind the decimal forever and there is NEVER a perfect circle. I think you got a hold of a wive's tale. I know lots of people who are in Mensa and are geniuses who can't draw a straight line much less a circle. Lots of psychopaths can't either (though I get close). Your information is faulty. Surely its just superstition. Doesn't the lack of empathy come cause of psychopaths have shallow emotions? There have been studies that psychopaths can feel empathy if they try like consciously imagining themselves in the others shoes. It seems doing this activates the areas of empathy in psychopaths as in mirror neurons firing. Been referred to as 'empathy switch'. So empathy is switched off or not spontaneously activated in psychopaths due to shallow affect?